Is it Time to Upgrade Your Multifunction Printers? | EBP Inc. It can be difficult to know what "the right time" might be when it comes to upgrading your multifunction printers. After all, if a machine is working "alright," then most companies are content to put off what they see as expensive, frustrating upgrades that could interrupt their workflows. Luckily, upgrades don't have to be a problem--and they might even be your business's best friend. If you're hesitating to upgrade or convincing yourself that your older multifunction devices are "doing just fine," you might be surprised to learn that upgrades can actually save you money. The truth is that, as printers get older, they get less efficient and more expensive to care for--and they often cause more trouble than they're worth. A new multifunction printer, on the other hand, is fast, powerful, and much easier to maintain, which means you'll start saving money right off the bat. So, is it time to upgrade your multifunction printers? If you answer "yes" to any of these questions, then you've got your answer. Are you constantly worried about your data? 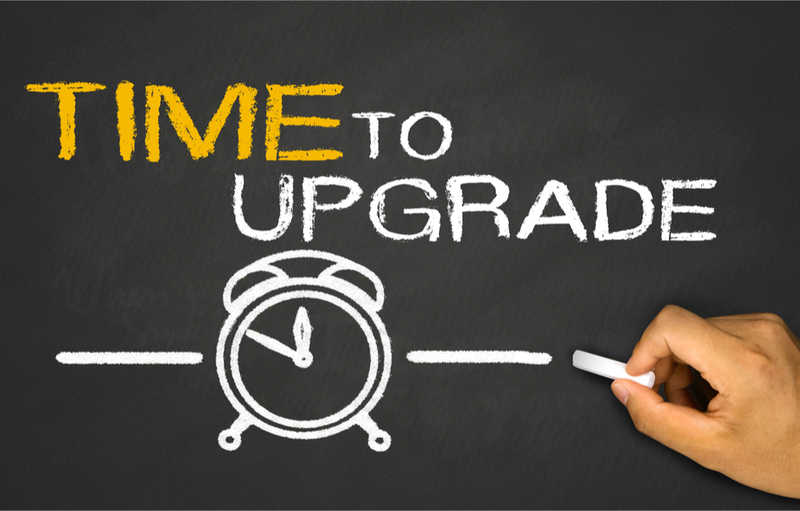 If you don't feel like your printer can be trusted or if it's too outdated to fit into your existing security processes, it's definitely time for an upgrade. Security should always be your top priority! Do you make way too many service calls? Printer downtime can be frustrating and expensive, and service calls interrupt your workflows for the entire day--sometimes longer. If your old multifunction printer needs this much attention, it's probably time to retire it. Does your printer constantly disappoint you? Whether it's frustrating failures, a lot of downtime, or an inability to fit your current business needs, a disappointing printer is not what you need. Upgrades can fix all of these things and more without breaking the bank. If you think it's time to upgrade your multifunction printers, contact us today to find out more!